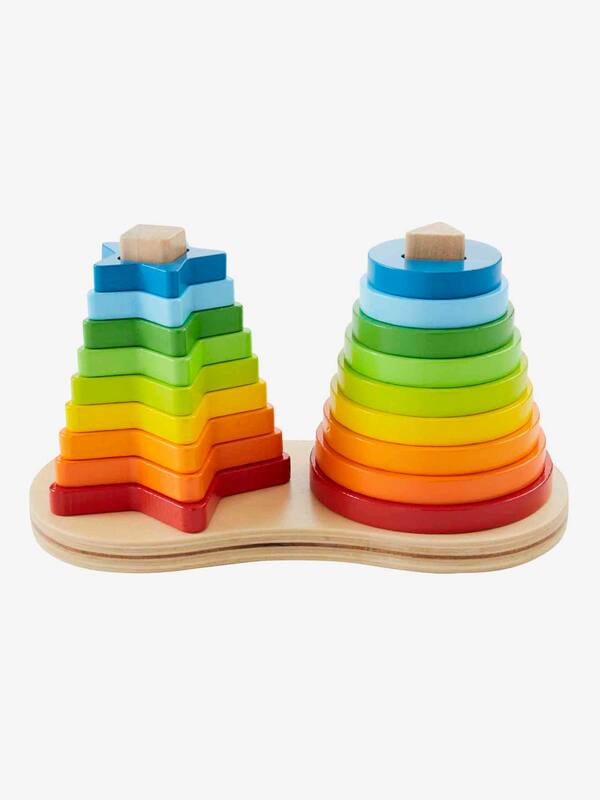 This pyramid stacking game will help little ones recognise shapes and colours and promote early-learning! When your baby grows, they can stack by shape order. Teaches colours, shapes and sizes.